Folks returning from the summer break in mid-August will notice some refreshing changes to the look of the various Moodles. Besides upgrading to a newer version of the software, we will be implementing a new look, or Moodle theme. We have engaged a theme development firm to create a custom Moodle theme for Manhattan College. The theme (base theme + variations) is meant to complement the college's website. The theme variations will also help users better distinguish between the various Moodle implementations at Manhattan College, e.g., course server (lms), community server (mcs), and development server). Most notably, however, the new theme will be "responsive" to cater to the amazing growth of mobile and tablet users. A responsive web design (RWD) and layout approach allows a site to adapt to every user's screen size needs, from the traditional desktop and laptop to the smallest mobile phones. Our new Moodle theme is expected to deliver an optimal viewing experience - easy reading and navigation, with a minimum of resizing and scrolling - regardless of the device used to access any of our Moodle servers. 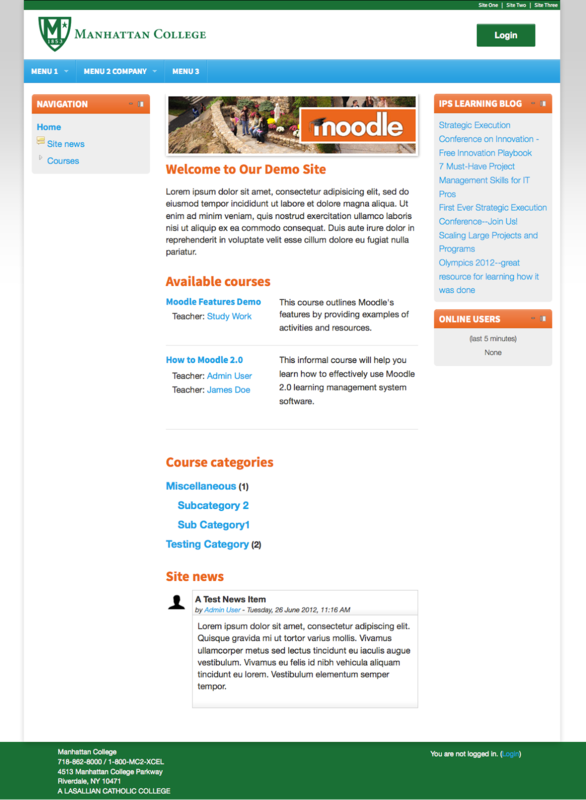 Users will also find numerous features and productivity improvements as part of the our Fall 2013 Moodle rollout. 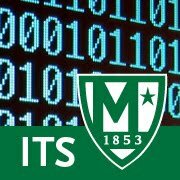 Moodle.org releases new versions of the software every 6 months; Manhattan College, like most other colleges, typically upgrades only over the summer break. We have concluded our investigations and preliminary testing, and have decided to upgrade our Moodle versions from 2.3 to 2.5. We will be implementing and deploying our new custom theme and software upgrades over the next few weeks. We will be looking for faculty to perform user testing in our test environment to insure a good user experience this Fall. Moodle - a widely distributed open-source learning management system - is Manhattan College's current LMS. Manhattan College uses the CLAMP edition; CLAMP is a membership-driven collaborative effort to extend Moodle for use at liberal arts colleges through various tools, etc. We are excited about all the new features and the new theme. Stay tuned for more to come! How do I know if a site is responsive? Well, if you shrink your browser, the content resizes to fit the available screen space. Try this with some sites on your desktop or laptop to see if they are responsive - or check out the following site to perform the responsive resize mambo.